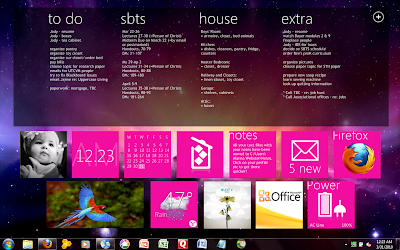 I just finished completely redoing my and Alanna’s desktops using Rainmeter and a skin called Omnimo UI. If you’ve never used Rainmeter, it’s very easy to install and set up (step-by-step instructions are on the Omnimo link) and makes your desktop endlessly customizable. There are tons of skins out there providing tons of functionality. Give it a try sometime! Click here to view on my deviantART page. After putting Alanna’s together, I was a little disappointed because I liked hers better. (So did most of the deviantART community apparently.) But now that I’ve updated, I’m pretty happy with mine as well. I ran across another great quote from Mike Yaconelli at the close of Getting Fired for the Glory of God. I may come back to this with some commentary later, but for now, I’ll let it stand on its own. When I was 20, I knew everything about Jesus. I swaggered into high schools afraid of no one’s arguments. The Bible was true, Jesus was God, and we all needed him. I still believe those things, but the swagger is more like a limp now. I know Jesus, but I don’t know much about him. I love the Bible–it’s even more true to me today than it was 40 years ago–but the truth I see is now more complicated and mysterious. Jesus is very real to me, but he’s also very elusive. Sometimes I wonder if I’m following him, or he’s following me. Life has left its scars on me. My soul is thick and leathery, faded and torn, knocked around a lot. I’m not as sure about things as I used to be. Yet here’s the amazing part, the one absolute I cannot shake: Jesus. As many times as I have disappointed him, as often as I have run from him, he hasn’t given up on me. Every time I turn around, he’s there. Every time I run from him, he’s there. I don’t know as much about Jesus as I used to, but I know one thing for sure: He’s closer. Are you dangerous too? Find out here! Okay, so I didn’t actually write this post but it was so good that I had to share it. I’m spending this morning reading some writings by Mike Yaconelli from Getting Fired for the Glory of God. Unfortunately I didn’t discover Mike until after he had already died in 2003, but his words have touched and inspired me more times than I can count. Mike was the kind of wild, messy youth minister that I would love to be. Read the article (written to youth ministers) and if it resonates watch the video clip below to get a peek at this crazy man who challenges and encourages me every time I hear him. I pastor the slowest growing church in America. We started twelve years ago with 90 members and have un-grown to 30. We’re about as far as you can get from a “user friendly” church-not because our congregation is unfriendly, but because our services are unpredictable, unpolished and inconsistent. We’re an “odd-friendly” church, attracting unique and different followers of Christ who make every service a surprise. We refuse to edit oddness and incompetence from our services. We believe our oddness matters. We want our service filled with mistakes and surprises, because life is full of mistakes and surprises. One Sunday morning, during the time for prayer requests, a member began describing the critical illness of her father. Because she was close to her father, her request for prayer was frequently interrupted by tears. Those around her reached out a hand or nodded with sadness. Some found their eyes filling with tears as well. The woman finished her request as best as she could. Seated in the front row was Sadie-a young woman with Down’s syndrome. Sadie stood and walked up the aisle until she saw the woman in the middle of her row. Stepping over the feet of other people in the aisle, Sadie reached the woman, bent down on her knees, laid her head on the woman’s lap, and cried with her. Sadie “inconvenienced” an entire row of people, stepped on their shoes, and forced them to make room for her . but none of us will ever forget that moment. Sadie is still teaching the rest of us what the odd compassion of Christ’s church looks like. Someone said “you shall know the truth and the truth shall make you odd.” Whoever made that statement understood what it means to be a follower of Christ. Followers of Christ are odd. Oddness is important because it’s the quality that adds color, texture, variety, and beauty to the human condition. Christ doesn’t make us the same. What He does is affirm our differentness. Oddness is important because the most dangerous word in Western culture is “sameness.” Sameness is a virus that infects members of industrialized nations and causes an allergic reaction to anyone who’s different. This virus affects the decision-making part of our brain, resulting in an obsession with making the identical choices that everyone else is making. Sameness is a disease with disastrous consequences-differences are ignored, uniqueness is not listened to, our gifts are canceled out, and the place where life, passion, and joy reside are snuffed out. Sameness is the result of sin. Sin does much more than infect us with lust and greed; it flattens the human race, franchises us, attempts to make us all homogeneous. Sameness is the cemetery where our distinctiveness dies. In a sea of sameness, no one has an identity. But Christians do have an identity. Aliens! We’re the odd ones, the strange ones, the misfits, the outsiders, the incompatibles. Oddness is a gift of God that sits dormant until God’s spirit gives it life and shape. Oddness is the consequence of following the One who made us unique, different . and in His image! May our youth ministries be the home of oddness, the place where differentness is encouraged, where sameness is considered a sin, so that the image of our holy and odd God will be lifted up for all to see. Anybody Want to Buy My House? For my friends who don’t go to First Baptist Lebanon and for those of you who missed the service tonight, I want to let you know that at the end of this evening’s service, I resigned from my position as Youth and Children’s Minister. I did so after talking with the pastor and the personnel team who felt that those ministries needed a fresh start. Despite the fact that I was not expecting this decision, I have no hard feelings towards anyone involved. They are simply doing what they think is best for the church and, in the end, I believe that this could be best for me and my family as well. I’ve enjoyed my time on staff at FBC and the friendships I’ve made there, but if you’ve been reading my blog lately you know that I am not your typical youth pastor and ultimately we simply had too many differences in ministry philosophy and style. Like I said, and it’s worth saying again (in bold font), I am not upset with anyone at the church nor do I have any hard feelings towards any of the church leadership. They are all great men and it has been a privilege to work with them. Resigning this evening was hard and I’m sorry for the people who were shocked or hurt by my announcement, but I do feel that it was the right thing to do. So what’s next for me? Honestly, I have no idea. I do know that despite not having a job, I do have some pretty great things going for me right now. I’ve got the God who will never leave me or forsake me. I’ve got my amazing wife who has been right by my side through this whole thing. (Read all her blogs from the week leading up to this announcement here, here, here, and here… she’s awesome!) I’ve got three smiling happy kids who help me keep my perspective. I asked Ben the other day if he wanted to go live in a brand new house and said, “Yeah!” jumping up and down and laughing the whole time. For him, change, even big change, is just the start of a new adventure. If you live in or around Sparta (or anywhere else in Middle Tennessee) and you know of any available jobs, please let me know immediately. Seriously, I am open to any and all suggestions. As far as credentials go, I’ve got a B.A. in History and English and seven years experience working with teenagers in ministry. I am skilled in digital desktop publishing and graphic design (but no coding yet). Also, I can make some pretty awesome coffee drinks that end in “cino.” For now though, I just need to find a job, so I don’t have to work in those fields if that’s not where the jobs are. Also, another big deal coming up in the near future will be selling our current house. It’s a great little house but it’s more than we will be able to afford soon, so we really need a buyer soon. Next Saturday (March 20), we’re going to have a painting party to bring back the beige that seems to be all the rage with house hunters. If you’re in the area, we’d love to have your help. Just bring a roller and a paint tray and we will find you a wall. I’ll be cooking up a couple of awesome homemade pizzas as payment for your hard work so come out and help us get this place in shape. It’s pretty weird to be floating freely like we are right now, not knowing where we’re going or what we’re going to do when we get there. I’ve gone through plenty of other major life transitions in the past, but in those cases we were always transitioning from one place/position/paycheck to another one that was already waiting. Now, I just have to trust that God is going to provide for our needs. And I do trust Him. Most of the time. As the great Rich Mullins said, “Surrender don’t come natural to me.” Man, I struggle with this one sometimes, even though I know God has never let me down in the past. Sometimes I trust people too easily (like the guy who managed to get $80 out of me for his “broken car”) but I struggle to trust the one who always keeps His promises. If He cares about feeding sparrows and clothing lilies, I know He’ll take care of me. I still like being weird. You probably wouldn’t know it by looking at me, but I still don’t always fit in very well. I never really have. That doesn’t really bother me 99% of the time. I like being different, charting my own course, marching to the beat of a different drum, [insert cliché about being different here]. In high school, the land of the cliques, I was much happier floating around on the fringes of a bunch of different groups without ever landing in any one of them. Drama, chorus, yearbook… not exactly a recipe for coolness, but I loved it. The only time this “otherness” bothers me is when I come to church. In my last post, I talked about how people with political views that aren’t GOP have trouble finding their place in many churches, but you don’t have to be a socialist to not fit in in church. I have been in Sunday morning services where I feel like a band geek in a room full of jocks and cheerleaders. I don’t dress the same, act the same, listen to the same music, read the same authors, or watch the same movies. I couldn’t care less about sports but the sermon is filled with football analogies. I’m quiet a lot of the time, not working the crowd shaking hands and filling up the air with small talk. During handshaking time, friends seek each other out and say they’re glad to see each other while I shake hands with the pastor. After church, everybody goes out for lunch together while I head home. I want to be part of the family but sometimes I feel like the black sheep. And I know there are other people just like me. They visit a church and before the organist has finished playing the prelude they already know that they don’t fit in. They’re (let’s just say “we,” not “they,” cause I’m part of this group too) the artists, the poets, the creative types who think out of the box, and we just can’t seem to find our place among other Christians. This doesn’t mean that we don’t love Jesus madly. We do. And it really doesn’t even mean that we don’t love the church. We do, but often we feel like the church doesn’t love us back. We feel like a kid who has just been told he’s not cool enough to sit at the lunch table with the popular kids. Church is about the only place where I really do want to fit in, but that just doesn’t happen very often. Out of context or not, I like the Bible verses that say that Christians are “peculiar people” and “aliens” (thanks, KJV!) That resonates with me. I Iove the others out there like me. Jesus said that all could come to him, not just the ones who have managed to navigate the complicated social waters of the church. Who did Jesus spent most of his time with? Outcasts. Loners. Losers. The people shunned by society and rejected by the church. What’s So Great About Capitalism? I’m not a politician. I’m not even a political person. Truth be told, laughing at Jon Stewart and Stephen Colbert is about the extent of my political involvement on a normal day. So as I bring this question up, I approach it as one seeking answers, not one arguing for a position. If you want to pick a fight about economic policy, you’re not going to get it from me. Feel free to fight amongst yourselves in the comments. So here’s the question: I constantly hear church goers complain about the president and one of the major complaints I hear is that he is a “socialist.” They spit that last word out like it tastes bad. To hear them talk, with Obama in charge we’re just a few steps away from being Russia under Stalin. I overheard a conversation a few weeks back where both sides reminisced about the good old days where everyone knew who the bad guys were (communists and socialists.) 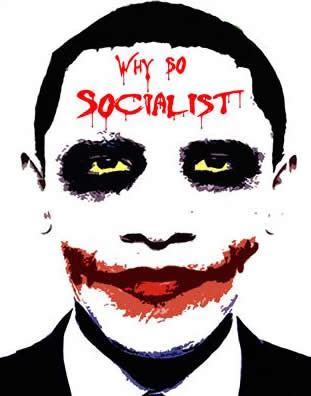 The fact of the matter is that Obama’s no socialist and he’s not about to turn our country into a socialist nation, but even if he was, would that really make him a “bad guy”? Can we really frame this argument in moral terms so that socialism equals evil and capitalism equals good? And even more interesting for me, why is capitalism thought to be the automatic moral preference for Christians? Is a belief in capitalism inherently the more “Christian” or moral position? Socialism seems to only be a dirty word in America. On the other side of the pond, many politicians proudly wear the title of “socialist” and run for office under socialist parties. They make no secret of their disdain for the free market. I know there are socialists in America, but as far as I know, most of them have to avoid that label is they want to get elected. Jesus commands the church to care for the poor and says that the things we do to help the least among us are done unto him as well (Matthew 25:34-45). Jesus’ half brother James even says that taking care of widows and orphans is the mark of true religion (James 1:27). The early church shared everything they had, selling their possessions and distributing the money to those who had needs (Acts 2:44-45). Caring for the poor, helping those unable to help themselves, the redistribution of wealth… that sounds a lot like the things that socialists talk about. I realize that many Christians will respond that these verses deal with the actions and responsibilities of believers and churches, not governments. However, couldn’t a Christian be in favor of any work that supports the poor, both within the church and the government? When people talk about not wanting to take their “hard earned money” and give it away to others, I hear argument like the one I found on this blog: “Capitalism rewards hard work, creativity, service, and (not so good) cunning.” The line of thinking seems to be that capitalism is great because it rewards hard work and creativity. It’s great because it encourages people to pull themselves up by their own bootstraps and make a living. Does capitalism hurt anybody? Only “the foolish, the lazy, the poor, the sick, and the ungifted.” In other words, if you don’t have money, it’s because you’re lazy or stupid and you did it to yourself. You made your bed, now sleep in it and don’t expect any help from anyone else. This is the Christian view? Not to mention the fact that in the desire to gain capital, people and businesses frequently use and exploit the “least of these” in order to get the most labor for the least money. Socialism may have some major problems with the way it works out in real life implementation, but is capitalism really any better or more moral? Both fall under some shady gray area in some respects. I guess my problem isn’t with either view as much as it is with the idea that there is only one official “Christian” view on economic policy that all Jesus followers must hold. I have the feeling that even in the church this argument has more to do with party affiliations (and everyone knows real Christians are Republicans) than with biblical reasoning. The fact of the matter is that the Bible doesn’t endorse any particular economic policy, political party, or even a system of government (How many leaders in the Bible became leaders by gaining a majority of the electoral votes?) Shouldn’t two Christians with different political views feel free to express those views without being seen as heretical or even “evil?” Isn’t it possible for churches to refrain from demonizing any minority views? People who hold these views often are afraid to speak up for fear of how the congregation will react. Isn’t the church supposed to be more about freedom than fear? 12 Posts in One Day? In the span of a few hours this evening, twelve new blog posts showed up on this site. No, I haven’t been hacked and reading this blog isn’t going to cause you to get emails from Nigerian princes. I’ve just taken some time to consolidate all of my various dead blogs into this one blog. I’ve taken all the posts from my old Xanga page, my MySpace blog, and even an article or two that I wrote for online magazines, and added them here as posts. They’re dated according to their original post date, so that’s where they’ll show up in the archives. Now if somebody decides they want to read everything I’ve written online (bless you, good person), they can do that in one place. Happy reading! Edit: Make that 18 posts in one day. In 2008, I did most of my blogging on my youth ministry’s blog. That site is gone now, but I still found all the articles that weren’t announcements and added them too.